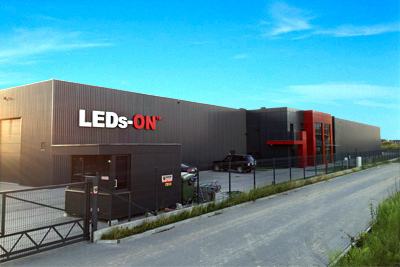 LEDsON™ is a fast growing family business established in 2005 in Warsaw. After 10 years of our experience we became a leading aluminium LED profiles manufacturer. Our main goal is to create and deliver the highest quality LED components. We have pleasure to propose to our customers a constantly growing number of 50 innovative designs of LED profiles and hundreds of different accessories like UV and damage resistant diffusers or long life LED strips. Our products are unique. They have a contemporary, clean design and an outstanding quality. We adopted market highest standard of aluminum surface treatment for all our components. If you need a new lighting concept for your project, with the Custom Made Product service, we may also create for you a new solution which perfectly fits your needs (MOQ). Thanks to the creativity of our engineers/designers and the professionalism of our customer service team, our clients from all around the world receive the best product chosen with a quality assistance. The local production allows us to guarantee a short order deadline and low-cost delivery. Share with us your idea and we will turn it into a luminous reality.